When violence erupts in a workplace, the outcome and events of the scenario are unpredictable. Injury or death of building occupants, lawsuits, property damage, and diminished trust in the organization by staff and the community are just a few of the possible consequences. The possibility of an active shooter incident is no longer a question of if, but rather when and where – yet the risk for violence is difficult to predict and almost impossible to eliminate. In most workplaces where risk factors can be identified, the risk of assault can be prevented or minimized if employers take appropriate precautions. Under the federal Occupational Health and Safety Act (OSHA), all employers have a general duty to provide a safe workplace for employees, free from recognized hazards that cause or are likely to cause death or serious physical harm to employees. OSHA believes that a well-written and implemented workplace violence prevention program, combined with engineering controls, administrative controls and training can reduce the incidence of workplace violence in both the private sector and federal workplaces. According to an FBI survey, 45 percent of active shooter incidents take place in a commercial environment. In an active shooter scenario, preparation is the key to survival. Would you know what to do in the event of an active shooter selected your office to carry out their attack? Would your employees know what to do? Does your organization have an emergency preparedness plan? 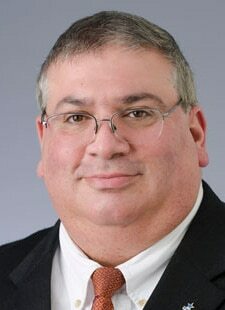 Anthony S. Mangeri, MPA, CPM, CEM has more than 30 years of experience in emergency management and public safety. Currently, he is the director of strategic relations for fire services and emergency services at American Public University System. Mangeri also serves on the faculty in the School of Security and Global Studies at American Military University. He also serves on the Fire & Life Safety Council of the American Society for Industrial Security. During the attacks of September 11, 2001, he served as the Operations Chief at the New Jersey Emergency Operations Center assisting with the coordination of New Jersey’s response to the attacks on the World Trade Center. Mangeri has been a volunteer firefighter and EMT for more than 25 years. He earned the rank of assistant chief safety officer. Mangeri earned a Master of Public Administration and is a Certified Public Manager. He has been awarded the designation Certified Emergency Manager. This webinar is brought to you by the Center for Applied Learning at American Public University System–Customized Training Solutions for the Retail Workforce. Visit our Events page for more information and to REGISTER for this webinar.